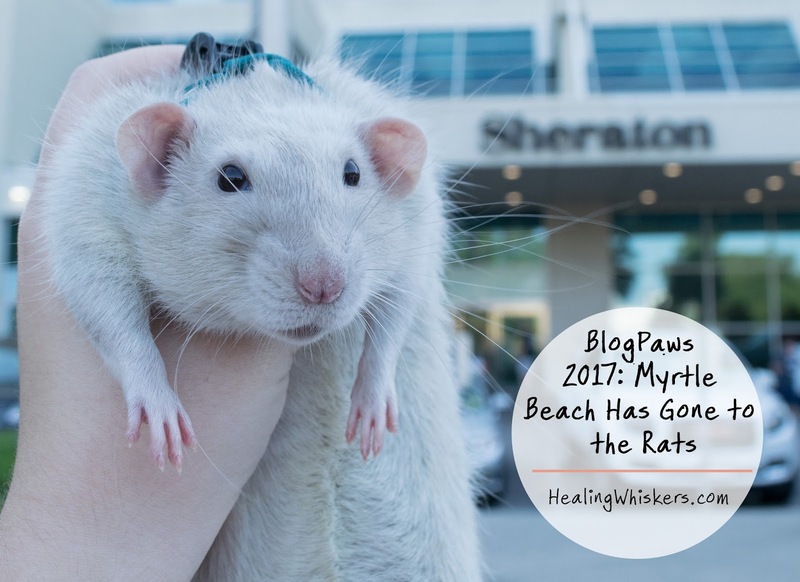 It has been a whole month since BlogPaws passed and we had a blast! 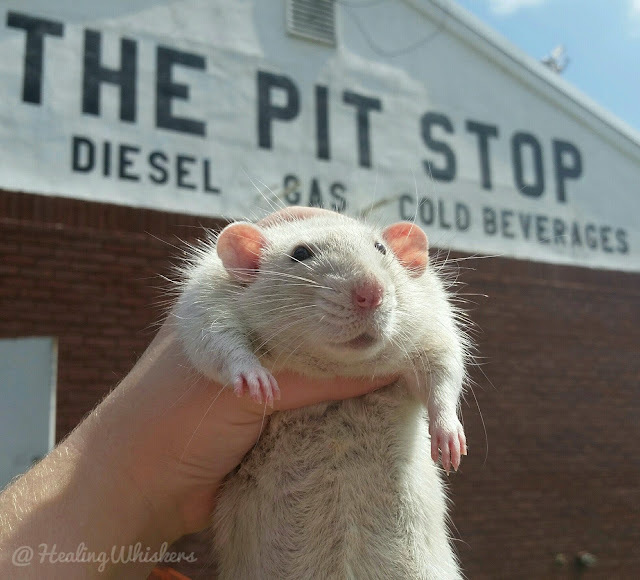 So 7 hours of driving to Myrtle Beach with 2 people, a dog, and a rat. Sounds like a storybook. The drive wasn't bad and we didn't stop too many times. I did get some weird looks when I held Oliver up for a photo! The whole conference was wonderful and we always are well received. I had a last minute idea that I put into play: buttons! 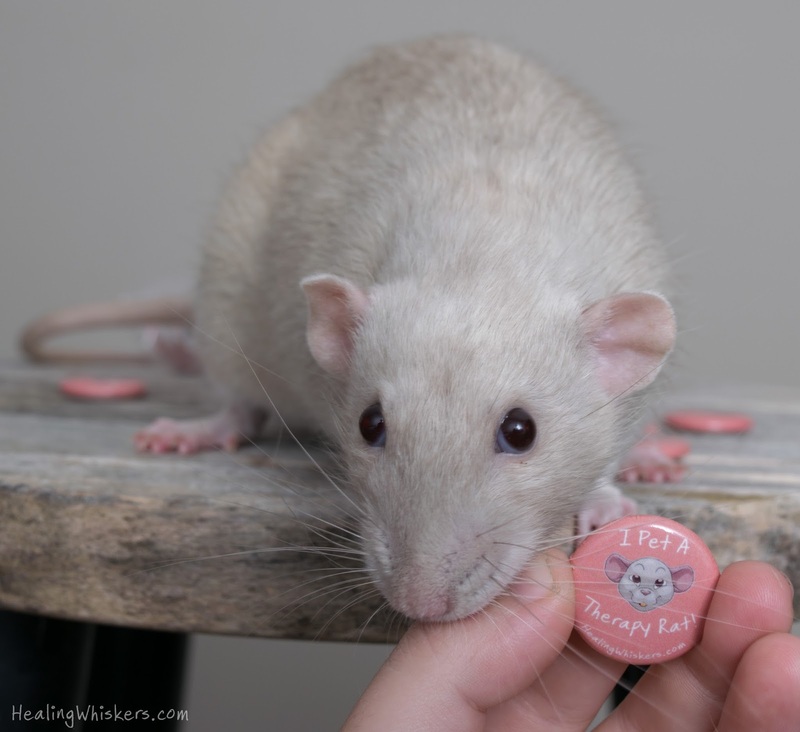 These buttons featured Oliver's face (Thank you Lily Chesnut Arts for the drawing!) 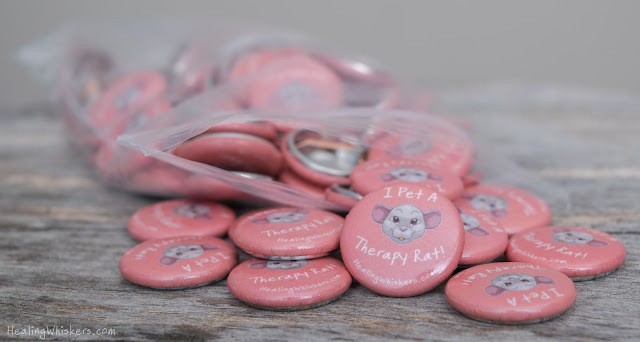 with the words "I Pet a Therapy Rat!". Besides being adorable, it gave me an idea of how many people we had met. For the whole conference, around 125 people pet him. Wow! Oliver loved cuddling with everyone. And most people were surprised at how calm he was. We learned a lot of great stuff, but the best part of BlogPaws is seeing all your buddies and meeting new people to share your story with. We definitely partied with Bruce Wayne! 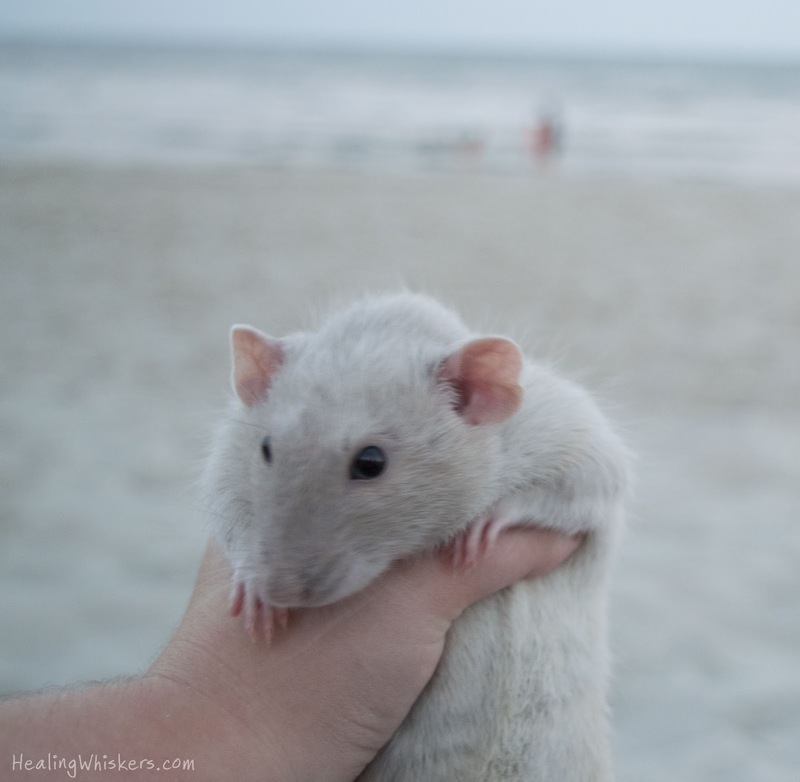 We were able to go to the beach one night and we got there just as the sun was setting so it was dark, but in the short amount of time, I learned that Oliver is not a big fan. It was very windy and that was a bit much for his whiskery nose. On our last night, we had the award ceremonies! The red carpet was great, and we got a seat close to the stage (just in case I had to go up...) For those who might be behind or are perhaps new here, Healing Whiskers was nominated for the Best Unconventional Blog! Thankfully I was in good company who kept my nerves settled as we awaited the results. I scribbled some names on a piece of paper for thank you's, but alas, it wasn't meant to be. When our name was called out, the room erupted in applause from all over. I was shook. Before the ceremonies started, I told my boyfriend that even if I didn't win, if I get applause from the other side of the room then that means I won. That means Oliver and I have touched each of those people in some way. And it seems we have succeeded. Thank you guys for all the support! I read every comment and see every like and I appreciate every one of them. 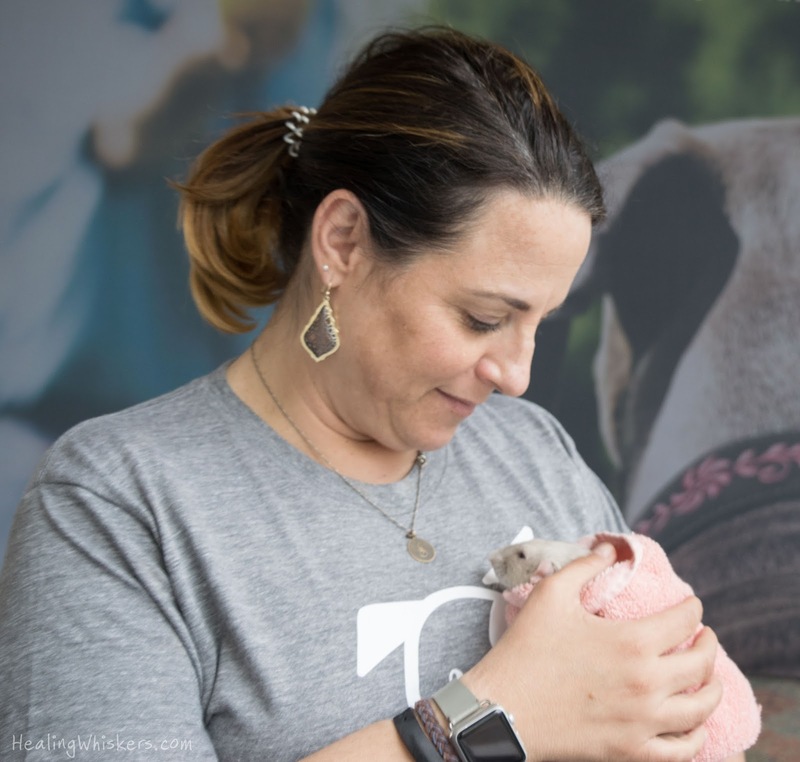 You guys are what Healing Whiskers is all about! If I were to sell some kind of merchandise like t-shirts, buttons, etc., would you be interested? If so, leave a comment below with an idea and we just might make it a reality! T shirt size medium womans.I will be expecting the bill soon. Mom brought home one of your buttons & it is pretty cute! 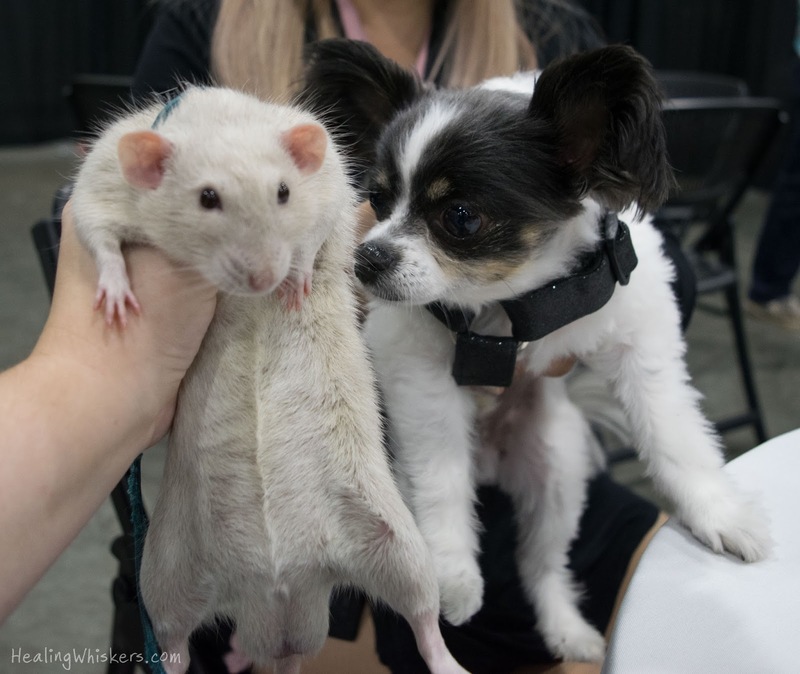 Thank you for for letting my flat self & Mom take a pic with you & Oliver at BlogPaws! Mom says she got to pet Oliver & said he is very soft, too! Can Oliver come visit my house some time? I like to snuggle. 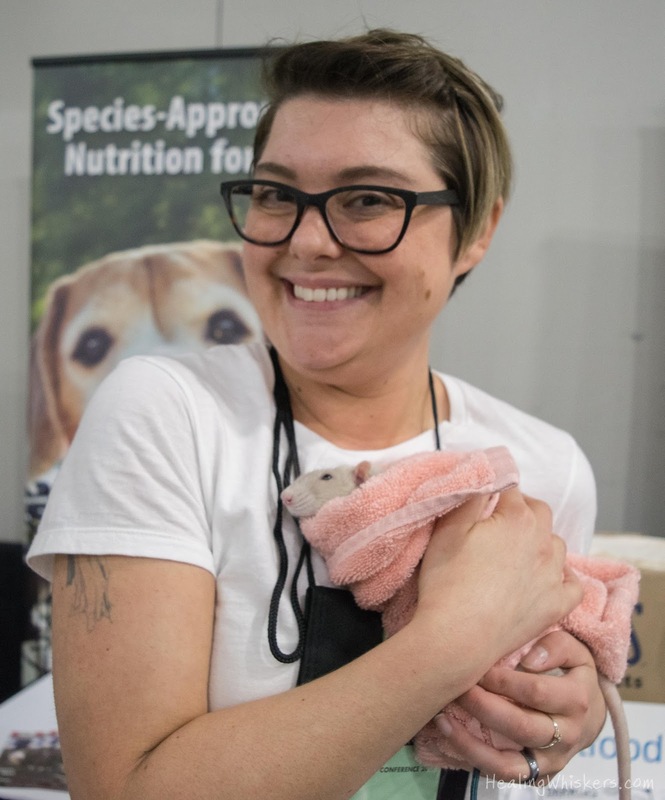 I think Oliver would look cute on a pink or red tee with me! Tee hee hee! Yes would by it. at teedesign you can use your idea design your own t shirts on top quality fabric.